Fox Business News was engrossed in interviewing a blonder than thou reality TV bimbo when the news that the Securities And Exchange Commission was filing fraud charges against Goldman Sachs broke on Friday afternoon. The breaking news bulletins were already flying through cyberspace before the Fox Means Business network got around to moving from a snickering interview with a starlet confessing to commodifying and monetizing her appeal to the biggest story in months on the Street beat. Corporate fraud allegations seem to make free market boosters nervous. At last, the mightiest of investment bank, described as a “giant squid on the face of humanity” by Matt Taibbi in a much-read diatribe, appeared to be in deep trouble. Taibbi himself was not convinced that the Government has the goods on Goldman. Federal prosecutions of white-collar criminals has not been a growth industry, or very successful, in recent years. AP predicts there will be a flood of lawsuits to come and that “the fraud charges against Goldman Sachs & Co. that rocked financial markets Friday are no slam dunk, as hazy evidence and strategic pitfalls could easily trip up government lawyers”. A former dot.com millionaire told me that Goldman has the best lawyers and would most likely beat the rap. 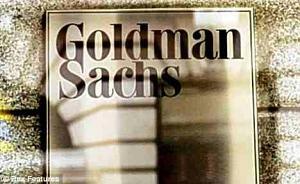 Publicly Goldman denied all charges and vowed to restore their “reputation. The Republicans who know about how to politicize everything were quick to point out that Goldman and its employees had been among President Obama’s biggest backers. At the same time, Politico reported out that taking on Goldman gives the White House a big propaganda asset in the coming fight over financial reform. Financial journalist Gary Weiss disagrees, suggesting that, if successful, this could bring the firm down. “This is devastating. The Wall Street Journal says “Goldman Sachs, which in a statement called the accusations ‘completely unfounded in law and fact,’ could face steep fines and be on the hook to repay nearly $1 billion of investor losses.” MIT’s Simon Johnson calls the SEC’s action a “Pecora Moment,“ invoking the memory of FDR’s long gone investigation of depression-era corporate larceny. Is This Complaint More Bread and Circuses? Was It A Crime–Or Should It be? This may become the Tea Party view. A deeper question is: is this civil suit a substitute for or a maneuver to avoid bringing criminal charges? There are even progressive writers like James Kwak of Baseline Scenario.com who doesn’t believe crimes have been committed. The problem with this thinking is that it defines financial crime very narrowly, and in terms of securities laws that exist only to protect investors. It forgets that the most harshly abused victims of the crisis occurred on the consumer side of the equation in the rip off of citizens as workers and homeowners. In my film <a href=http://www.plunderthecrimeofourtime.com>Plunder The Crime Of Our Time</a> I report on a finding in Massachusetts that Goldman deliberately designed thousands of mortgages to fail. They settled, paying the state $60 million without admitting guilt. Those who argue these abuses were legal rarely admit that the financial institutions spent nearly a billion dollars to erode regulations and change rules. They used their ill-gotten gains to buy up ‘politricians’ who passed one-sided and unjust laws to allow them to get away with whatever benefited their bottom lines no matter who was hurt. This well-documented history of political manipulation qualifies them as avaricious manipulators, not law biding companies. Their legal and moral defense is bogus. The Congress and the Courts have been “captured” by Wall Street for years. Why won’t the financial media cop to this blatant immorality as they treat “the law” as sacrosanct? Would they have recognized lynching and racism as legal because Deep South legislatures passed laws allowing segregation? How are the laws bought by Wall Street any different? The housing bubble was built on bedrock of deception and fraud linking shady subprime brokers and appraisers to a whole industry that structured financial products and then resold them with misrepresented values with the complicity of unethical ratings agencies. The FBI has been denouncing, investigating and indicting those what they call a “fraud epidemic.” The selling and reselling of worthless asset-backed securities is a centerpiece of the larger crime, as was the practice of overleveraging these schemes, insuring and even betting against them by companies like AIG with swaps, CDO’s etc. etc. We are not talking about a handful of executives like the 25 people Time Magazine listed as responsible for the crisis. We are dealing with a criminal enterprise of tens of thousands who benefited. They all worked together like a cabal to perpetuate what I call the crime of our time. Will these people ever face justice?